Persimmon Community finds this 20.46 property with so much to offer. 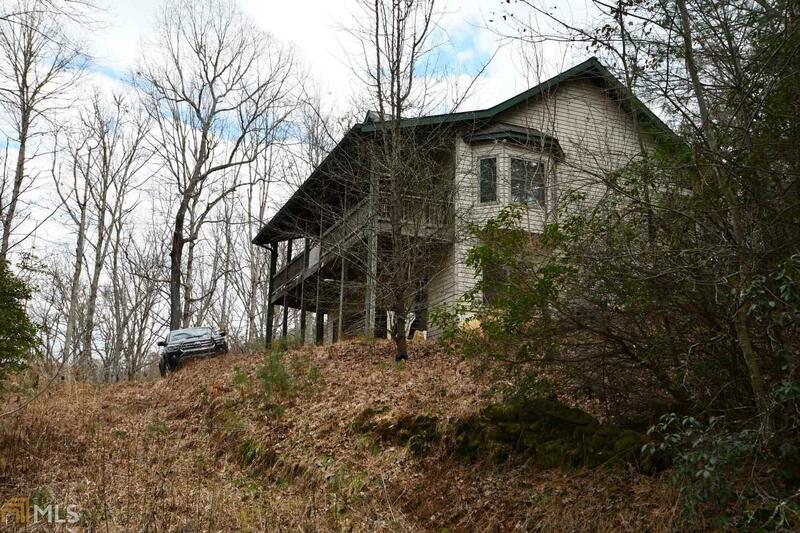 Views of the North Carolina mountains, borders USFS, mountain stream running through the middle, cleared land, two wells, large 20x40 shop/garage, 1997 home that needs love. House has metal roof, vinyl siding, poured concrete walls, finished main level with kitchen, dining, living, master bedroom, master bath, laundry, half bath. Lower level has two bedrooms, one bath, unfinished family room and "safe" room. Owner is selling property AS IS. There may be a few items to be removed by owner, but most will be a part of the sale. Directions: From Clayton Take Hwy 76 West For 8 Miles To Right On Persimmon Road, Follow Persimmon For 1.5 Miles To Driveway On The Left #1577. Gate Will Be Closed.